Musk promptly admitted fault, stating that the company is currently facing challenges with delivery logistics. Musk did note, though, that delivery logistics hell is far more tractable than production hell; and thus, Tesla should be able to solve the issue shortly. While there are now reservation holders being inconvenienced due to Tesla’s inability to deliver their vehicles on time, the current issue does indicate something notably positive for one of the company’s targets this Q3 — the production numbers of the Model 3. Tesla has announced that it is aiming to produce 50,000-55,000 Model 3 for the third quarter, and just recently, an email from Elon Musk to the company’s employees noted that Tesla would likely build and deliver around twice as many vehicles as it did last quarter. If Tesla is on track in meeting the milestones Elon Musk outlined in his letter, the company’s delivery centers across the United States are likely experiencing an influx of vehicles at a scale they have never experienced before. For a company that is still finding its legs as a mainstream carmaker, this sudden increase in the number of impending deliveries would likely result in challenges. This is not to say that Tesla is being caught off guard by its own production numbers. This quarter, the company has implemented programs designed to speed up the delivery process, such as the 5-Minute Sign & Drive delivery program. Unlike Tesla’s old delivery system that involves a thorough walkthrough of its electric cars’ functions, the 5-Minute Sign & Drive system only covers the basics of the vehicles. The electric cars’ more specific features and capabilities are expected to be reviewed by reservation holders prior to the delivery date. Back in July, Elon Musk also noted that Tesla is working on a system that would get rid of paper contracts completely by having customers sign necessary documents online. Musk further noted that in the future, Tesla’s customers should be able to return the electric cars just like any other consumer product, in the event that they are unsatisfied with the vehicle. There is a lot at stake for Tesla this third quarter. After achieving its then-elusive goal of manufacturing 5,000 Model 3 per week at the end of Q2 2018, the company has focused itself on the task of pushing Model 3 production even further and ending the quarter as a profitable company. These goals are undoubtedly ambitious, but Tesla seems to have a shot at accomplishing just that. 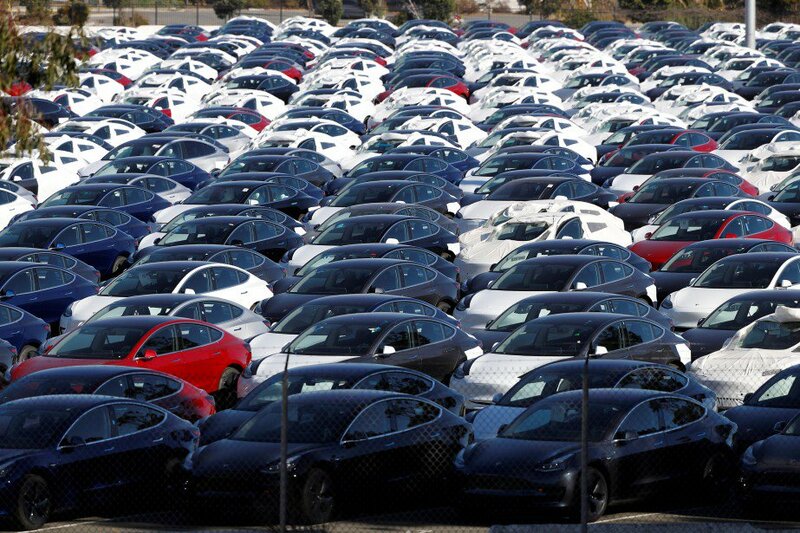 Analysts from Evercore ISI and Worm Capital, for one, have noted that with the right optimizations, Tesla should be able to maintain a steady production rate of 5,000-6,000 Model 3 per week. The Evercore ISI analysts even noted that with minimal CapEx, Tesla should be able to manufacture up to 8,000 Model 3 per week.